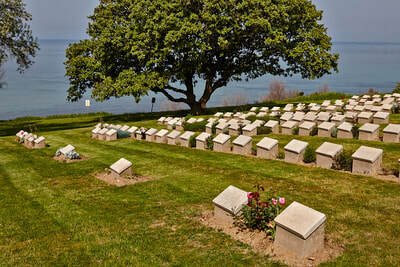 At 9.8 kms you will find the cemetery on the left hand side of the coast road. 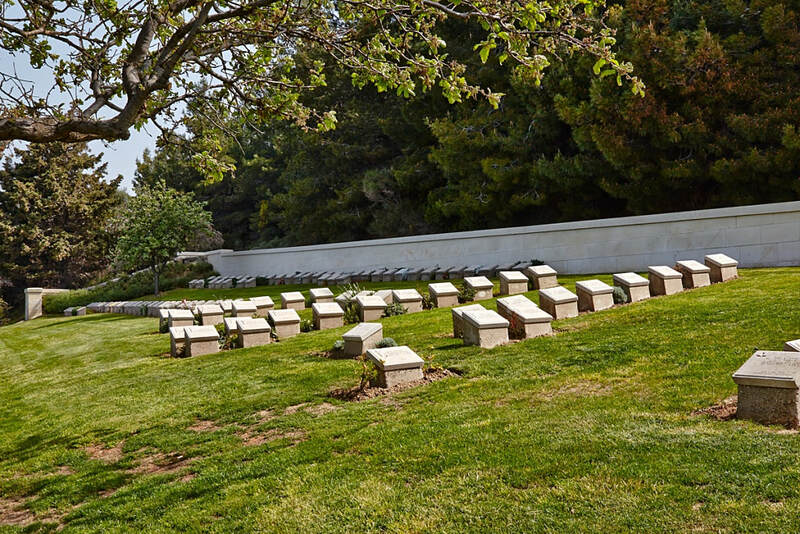 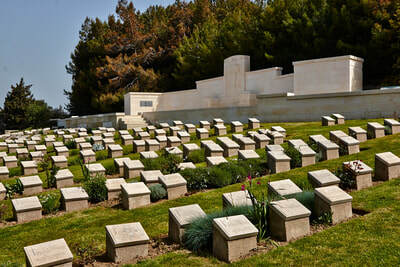 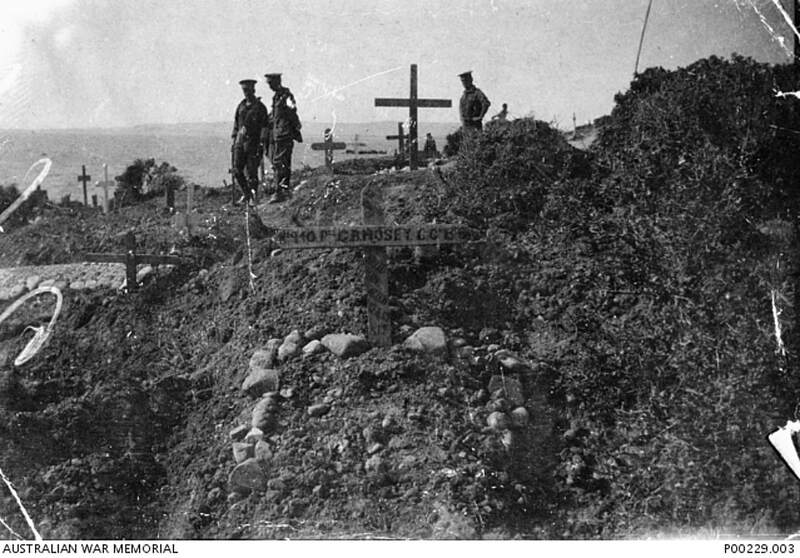 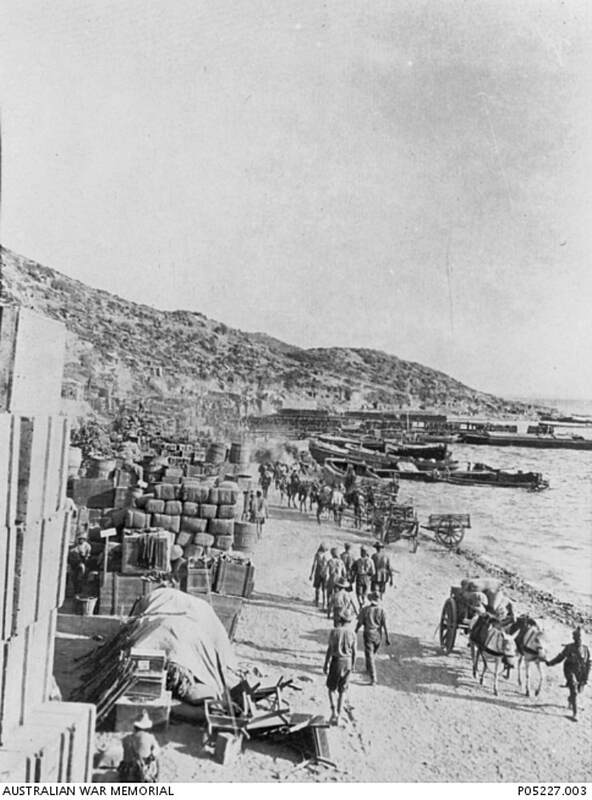 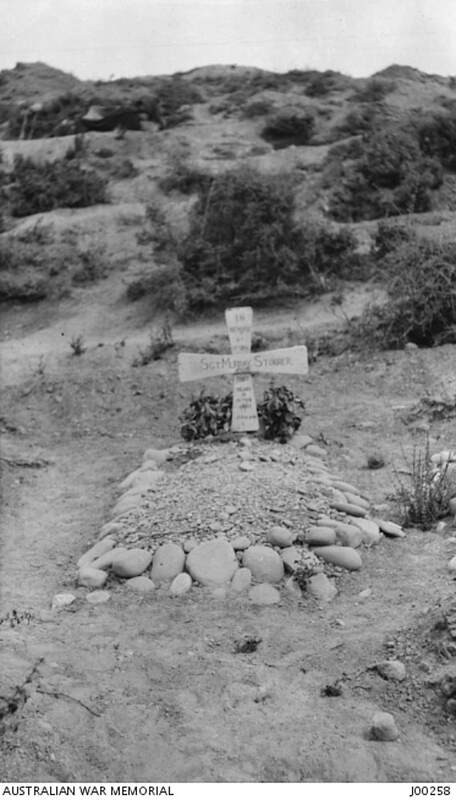 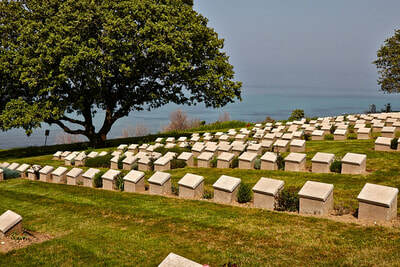 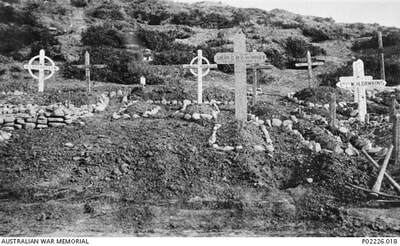 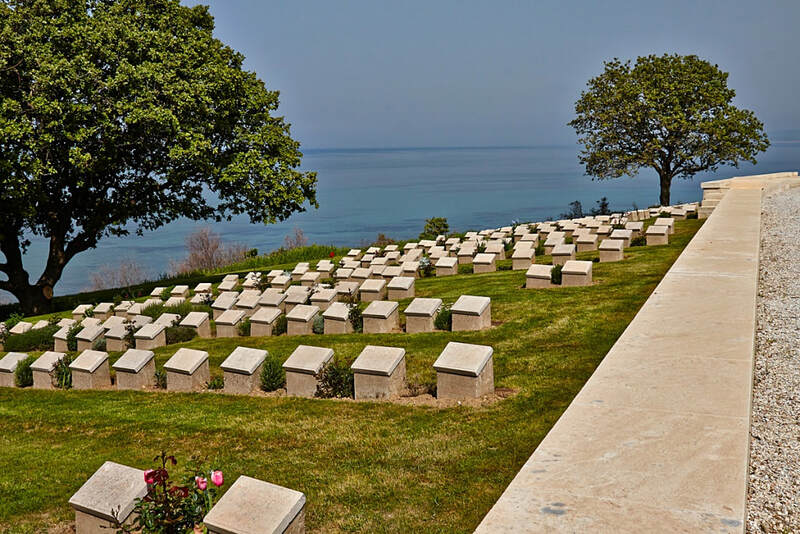 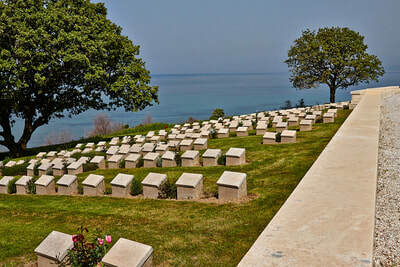 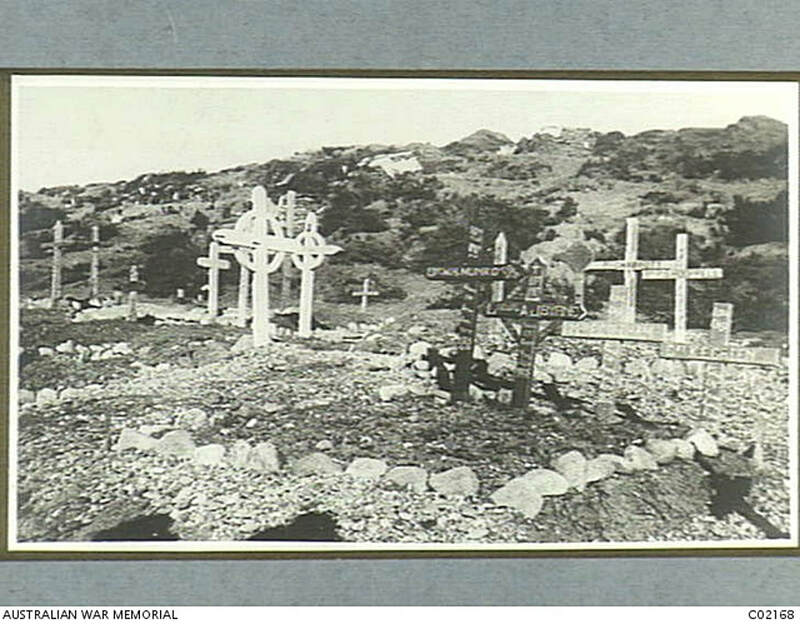 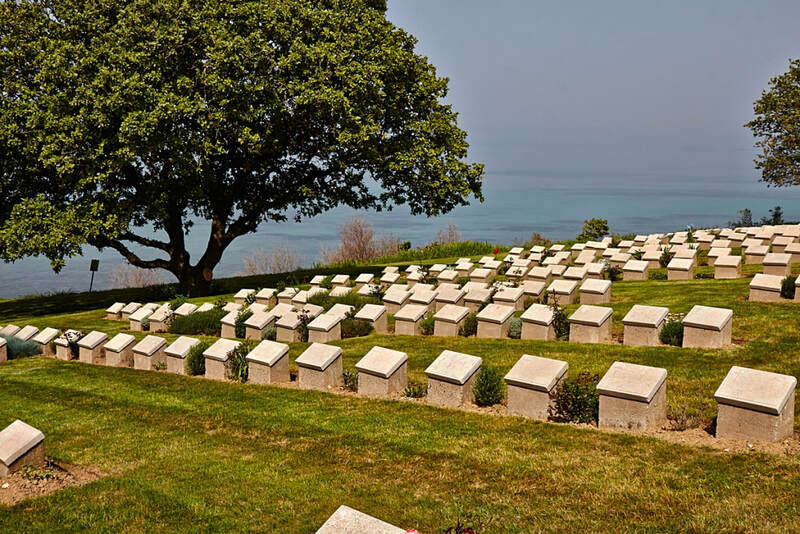 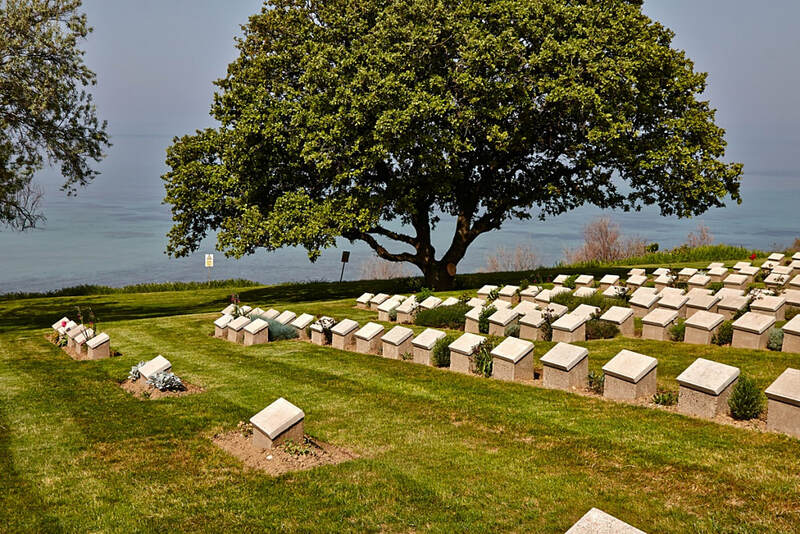 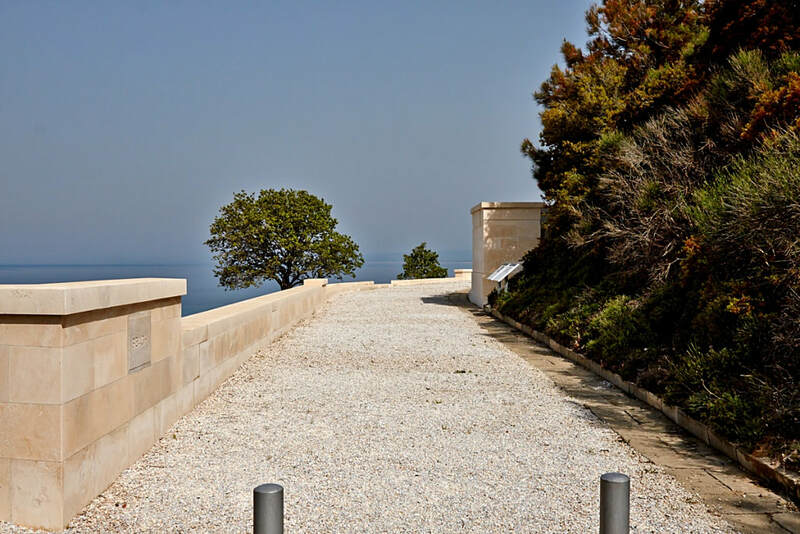 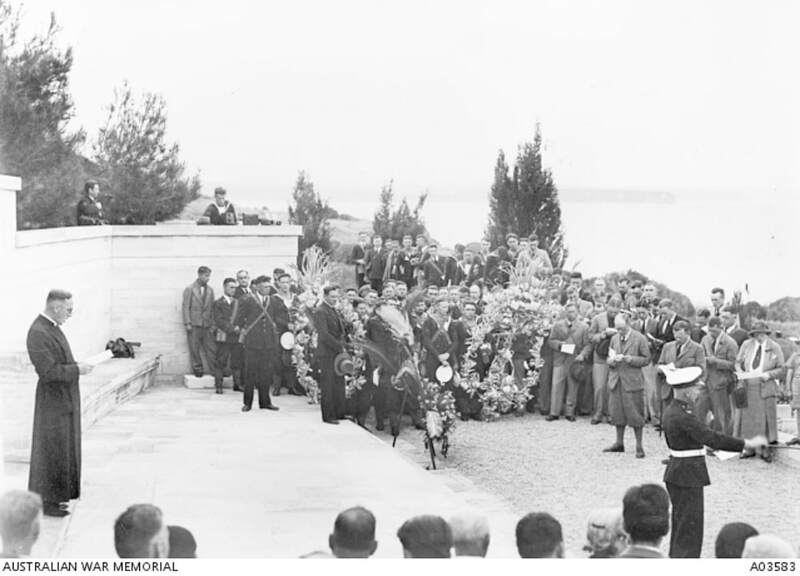 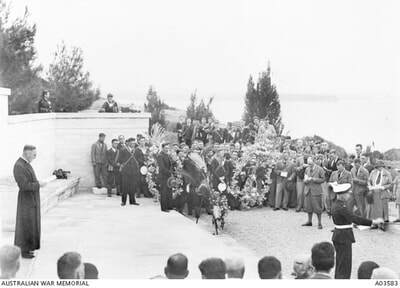 Beach cemetery is situated on what was known as Hell Spit, at the Southern point of Anzac Cove. 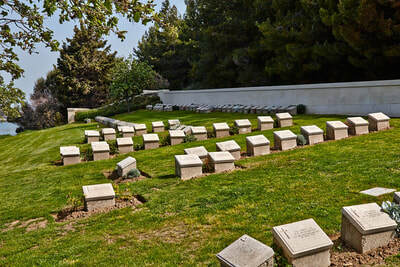 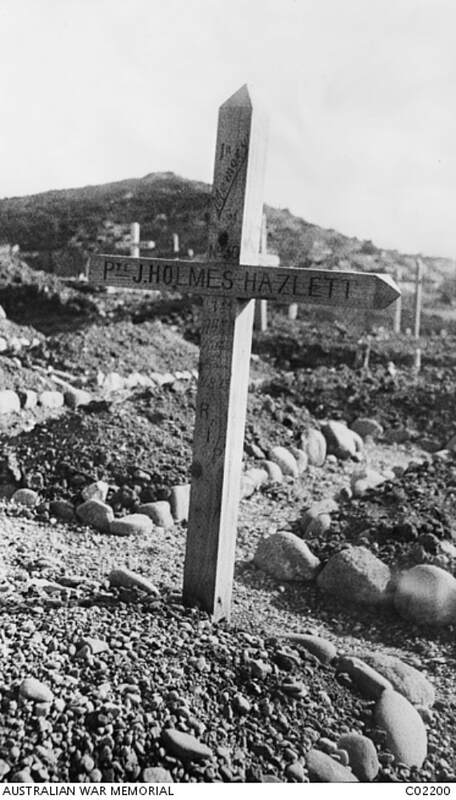 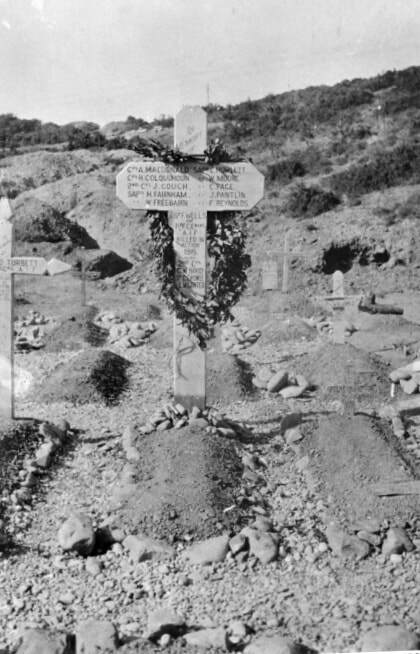 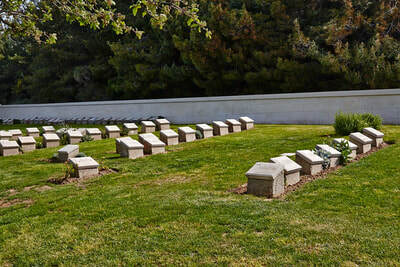 The graves lie between the Kelia - Suvla Road and the beach. 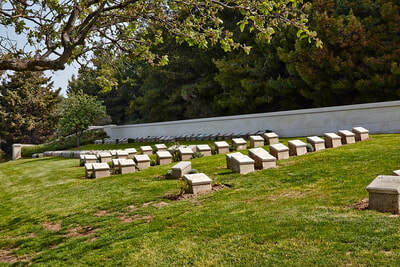 The Cemetery is permanently open and may be visited at any time. The cemetery is constructed on a very severe slope making wheelchair access impossible. 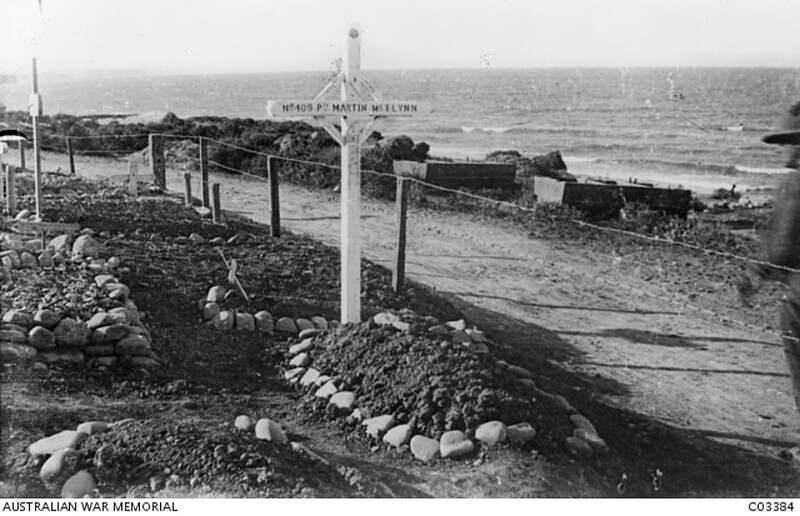 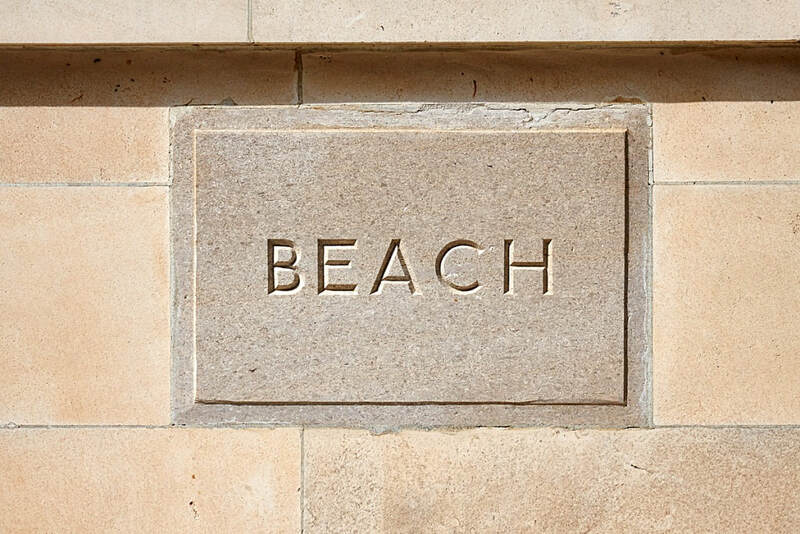 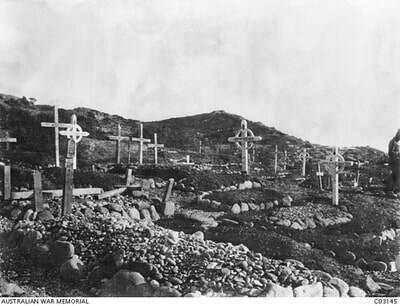 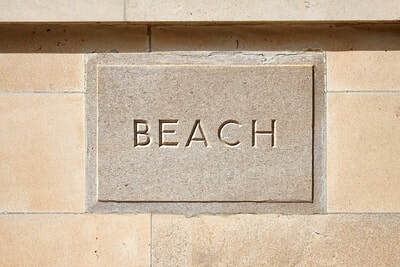 Beach Cemetery was used from the day of the landing at Anzac, almost until the evacuation. There are 391 Commonwealth servicemen of the First World War buried or commemorated in the cemetery. 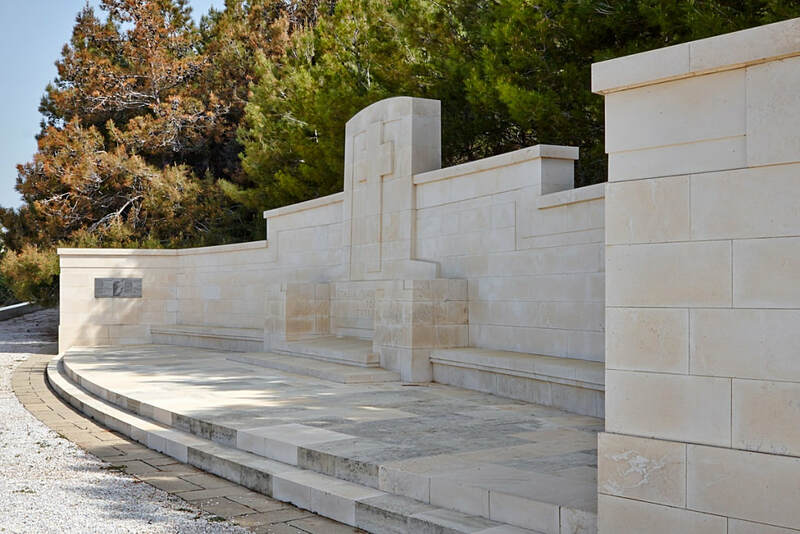 Special memorials commemorate 11 casualties believed to be buried among them. 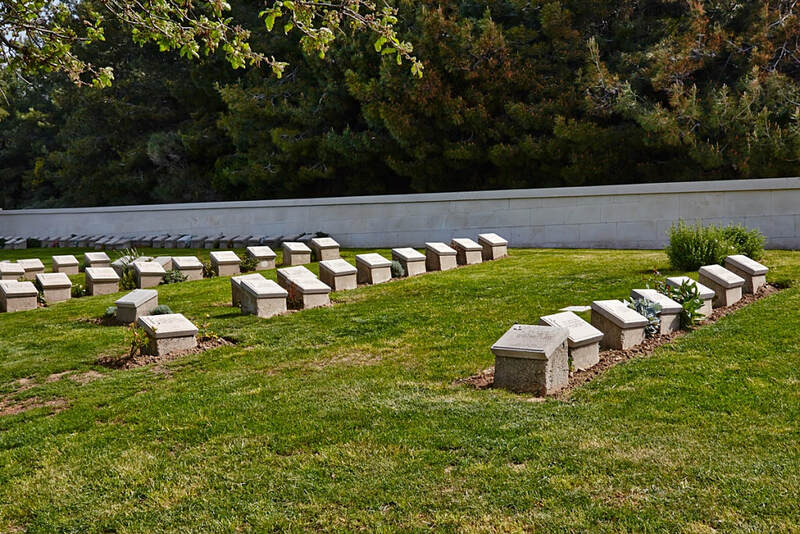 22 of the burials are unidentified. 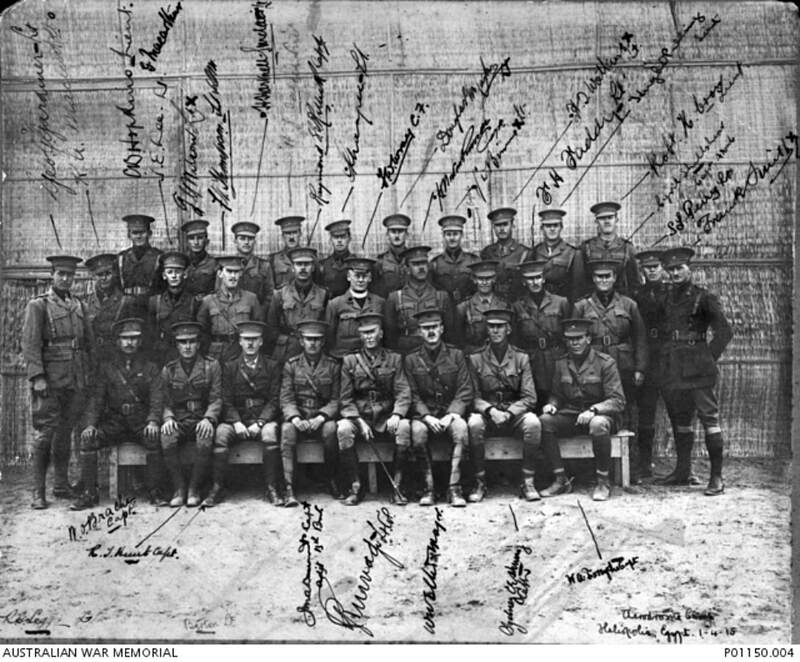 Group portrait of officers, many from the 13th Infantry Battalion, annotated "Aerodrome Camp". 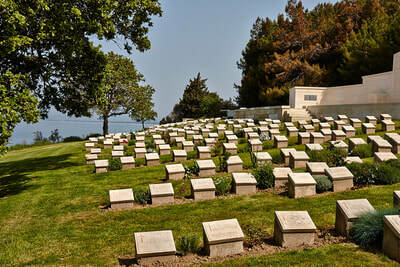 Some in this group died at Gallipoli. Left to right: back row: Lieutenant (Lt) Clive Boyer Hopkins (killed in action 20 July 1916), Lt F G Wilson, Lt Hubert Hartnell-Sinclair (died of wounds 9 August 1915), Lt Horace James Salier, Lt Francis George Grainger, Lt Douglas Marks, Lt George Webster Binnie (killed in action 3 May 1915), Lt Harold Thomas Watkins (killed in action 25 April 1915), Lt Hugh O Pulling, Lt Robert Harold Crow (killed in action 3 May 1915). 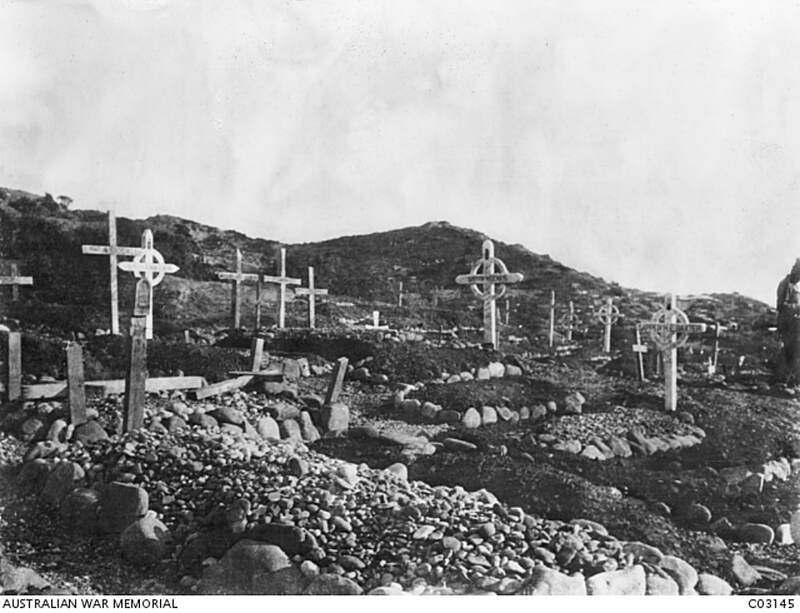 Middle row: George G Gardiner, Lt Kenneth Alexander MacLeod (killed in action 3 May 1915), Captain (Capt) Joseph Edward Lee, Lt Francis Vere Thompson QM, Capt Raymond G E Kellick, Chaplain F W Wray, Capt Harold Norton Russell, Capt J Simpson, Lt Francis Horatio Faddy (killed in action 3 May 1915), Capt Cyril Shellshear, AAMC, Lt Stanley Llewellyn Perry, Lt Frank Smith. 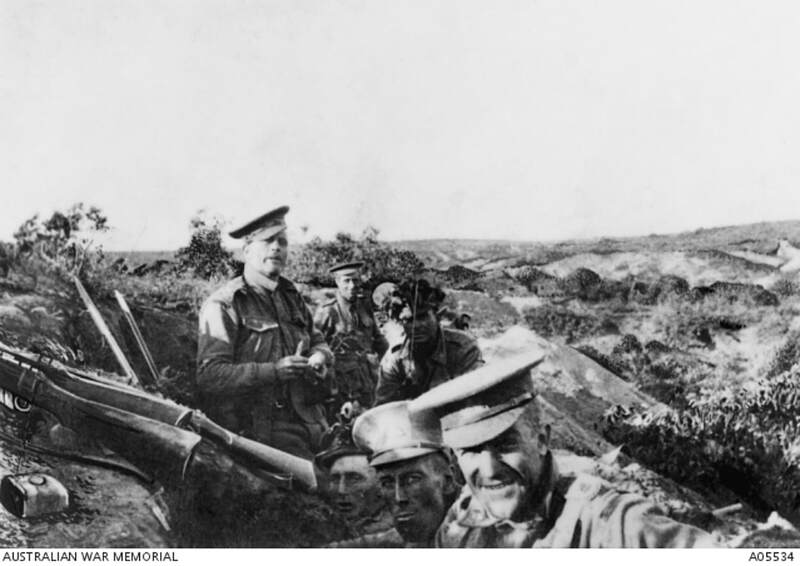 Front row (all seated): Capt William Osmond Brache, Capt (later Major (Maj)) Robert Thomas Hunt, Lt (later Maj) Reginald George Legge DSO MC, Capt (later Lieutenant Colonel (Lt Col)) James Murdoch Archer Durrant (Adjutant 13th Battalion), Lt Col Granville John Burnage, Maj Walter Whyte Ellis (killed in action 3 May 1915), Capt Sydney Charles Edgar Herring, Capt William Alfred Forsythe. 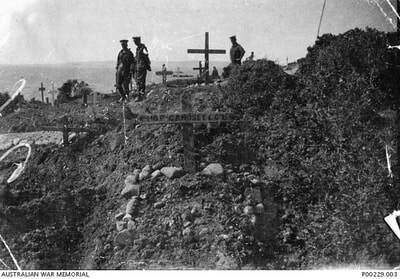 Also shown is the signature of Lt Barton. 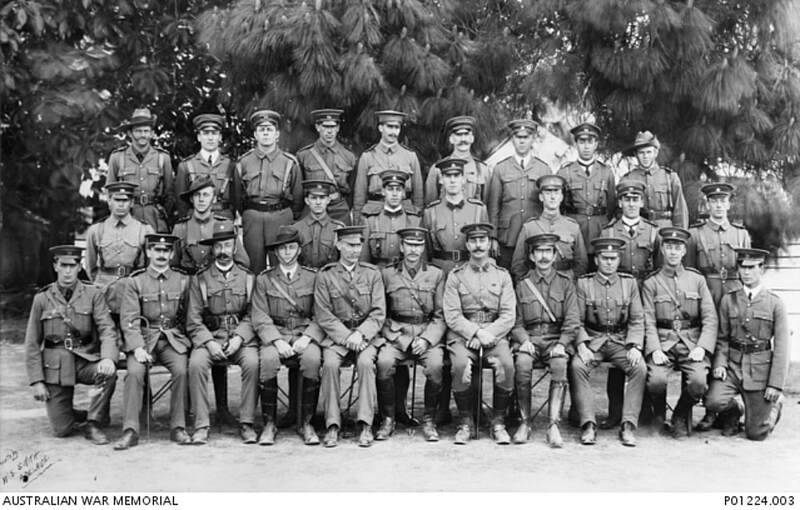 Group portrait of the original officers of the 10th Battalion prior to leaving Adelaide for Egypt. 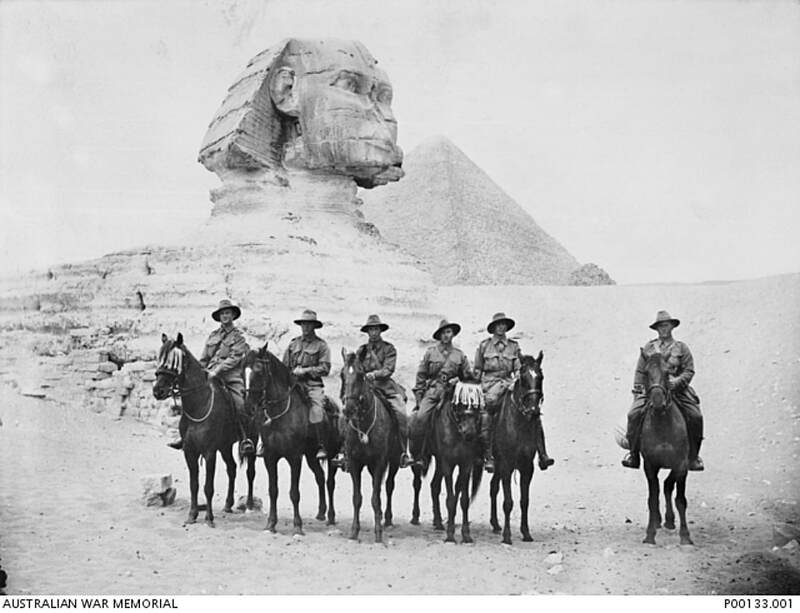 Left to right, back row: Lieutenant (Lt) Julius August William Kayser from Alberton, South Australia (later Major, killed in action in France on 16 February 1917); Lieutenant (Lt) Clarence Rumball from Thebarton, South Australia; Lt Louis Gordon Holmes from Norwood, South Australia; Lt Trevor Owen-Smyth from Adelaide, South Australia (later killed in action at Gallipoli on 6 May 1915); Captain (Capt) Sydney Raymond Hall from Unley, South Australia (later killed in action at Gallipoli on 25 April 1915); Lt John Hamilton from Broken Hill, NSW (later Capt); Lt Alfred Cyril Sommerville from Croydon, South Australia; Second Lieutenant (2nd Lt) David Leslie Todd from Adelaide (later Capt); and Lt Albert John Bryne from Broken Hill (later killed in action at Gallipoli on 25 April 1915). 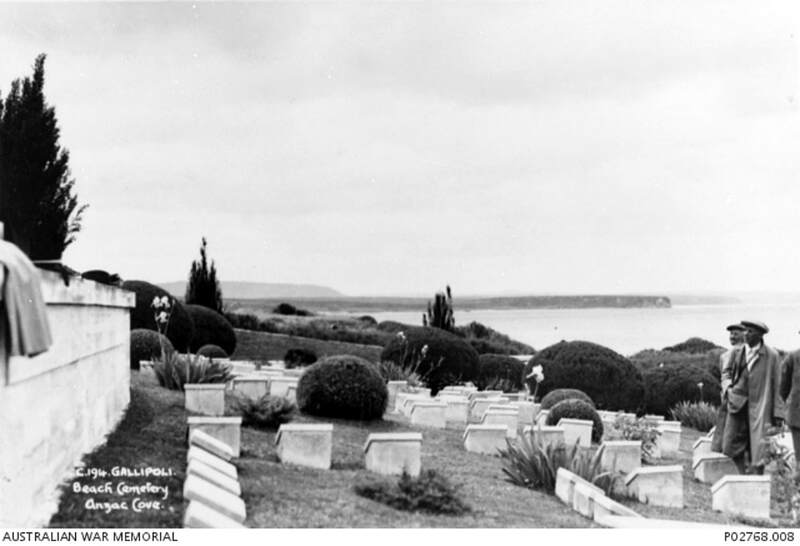 Middle row: Lt Mervyn James Herbert from Brighton, South Australia (later Major (Maj)); Lt Keith Eddowes Green from Prospect, South Australia (later killed in action at Gallipoli on 25 April 1915); Lt Robert James Mansfield Hooper from Alberton (later killed in action at Gallipoli on 27 May 1915); Lt Eric John Carl Stopp from Kent Town, South Australia; Lt Hector Roy Heming from North Adelaide; Lt Eric Wilkes Talbot Smith, (later died of wounds in Egypt on 30 April 1915); Lt Herbert Champion Hosking from St Peters, South Australia; and Capt Harold William Hastings Seager from Adelaide (later Maj and awarded MC). 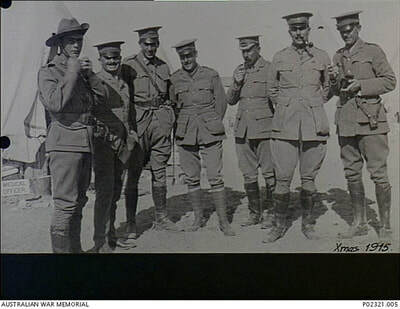 Front row: Lt Eric James Sexton from Alberton (later Maj); Capt George Dorricutt Shaw from Hindmarsh, South Australia (later Maj); Maj Miles Fitzroy Beevor from Unley, South Australia (later Lieutenant Colonel (Lt Col)); Capt Harry Carew Nott (Medical Officer) from Lower Mitcham, South Australia (later Lt Col); Maj Frederick William Hurcombe, Second in Charge (2IC) from Mile End, South Australia (later Lt Col and MID); Colonel Stanley Price Weir (Commanding Officer) from St Peters (later awarded DSO); Capt Francis Maxwell de Flayer Lorenzo (Adjutant) from Westbourne Park, South Australia (later Lt Col and awarded DSO); Capt Charles Francis Minagall (Quartermaster) from Goodwood, South Australia (Later Maj); Capt Edward Castle Oldham from Hackney, South Australia (later Maj and killed in action at Gallipoli on 25 April 1915); Capt Ross Blyth Jacob from Kadina, South Australia (later Lt Col); and Lt Vernon Hermann Robley from Gilberton, South Australia. Absent: Lt William Stanley Frayne from Mile End, South Australia, (later killed in action at Gallipoli on 6 August 1915); Lt Charles Percy Farrier from Broken Hill (later killed in action at Gallipoli on 9 May 1915); Lt Felix Giles from Maylands, South Australia (later Lt Col); 2nd Lt Noel Medway Loutit from St Peters (later Lt Col); Lt William Howard Perry from Broken Hill (later Capt and awarded MC); and Captain George Ernest Redburg from Norwood, South Australia (later Maj). 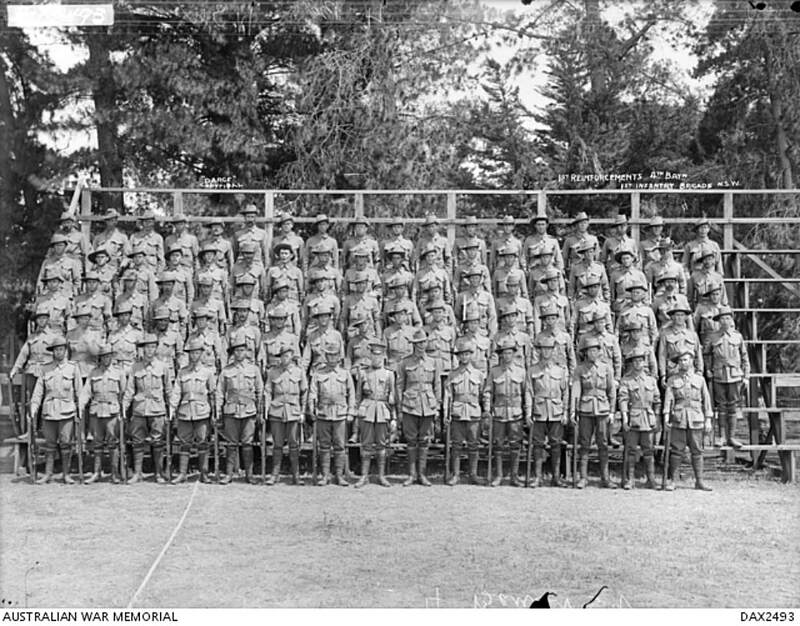 Outdoor group portrait of members of the 1st Reinforcements, 4th Battalion. Identified front row, second from the left is: 1134 Lance Corporal (LCpl) Anton Herman Iversen. 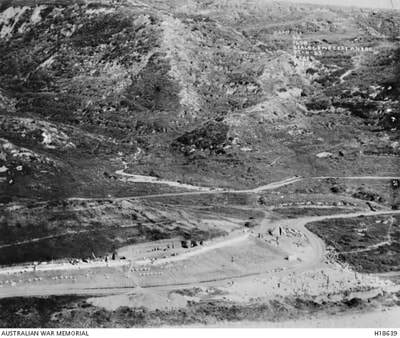 Also known to be in this photograph are- and note that the officers and senior NCOs were routinely posed in the centre of the front row- Captain Harold Jacobs; 1102 Private (Pte) Sydney Charles Boysen; 1103 Pte Harry Bradford; 1104 Pte Harry James Blunt; 1106 Corporal (Cpl) Claude Casson; 1107 Cpl Albert Frederick Cook; 1108 Pte William Reginald Carey; 1109 Pte Jack Clump; 1110 Pte John Douglas Walters Clague; 1111 Pte Charles Clark; 1112 Pte Henry Coffey; 1114 Pte Augustus James Chalker; 1115 Pte Robert Charles Claydon; 1116 Pte William Edward Claydon; 1117 Pte Frederick Daniels; 1118 Pte Hertle Hilton Ezzy; 1119 Pte Richard Asaph Edwards; 11201 Pte Arthur John Flintoff; 1122 Pte James Forbes; 1123 Pte Alexander Cosgrove George; 1124 Pte James Alexander Gould; 1125 Pte Kenneth Gillies; 1126 Pte William Alexander Gibson; 1127 Sergeant (Sgt) Richard Greaves; 1128 Pte Charles Neil Galbraith; 1129 Cpl Thomas Haworth; 1130 Pte Ernest Herbert Henning; 1131 Pte Thomas Halsey; 1132 Pte Patrick Hanley; 1133 Pte George Charles Hokin; 1135 Pte George Johnson; 1136 Pte Charles Henry Kerry; 1137 Pte George Long; 1138 Pte William Lampshire; 1139 Pte Carl William Leyon; 1140 Pte Victor Harold Lyne; 1141 Pte Arthur Herbert Lawton; 1143 Pte Edward Keighly Lane; 1145 Pte George Henry Lyndsell; 1146 Pte Stanley Gordon Moore; 1147 Sgt Dugald Dalroy McPherson; 1148 Pte Thomas McKinty; 1149 Colour Sergeant Alastair Cameron Maclachlan; 1150 Pte Hugh McKiernan; 1151 Sgt Henry McKeowen; 1152 Pte David McGregor; 1153 Pte Francis Alexander McInnes; 1154 Pte Donald William McInnes; 1155 Cpl Thomas Henry McEnery; 1156 Pte Jack McDougall; 1157 Pte Cornelius Francis Murphy; 1158 Pte John James McCormack; 1159 Pte Frederick George McGrath; 1160 Pte Oliver Frank McCarthy; 1161 Pte Henry Mark Marks; 1162 Pte Albert Frederick Clark Mower; 1163 Pte William Arthur Montgomery; 1164 Sgt John Beattie Nelson; 1165 Pte Charles Arthur Morris; 1166 Pte James Richard Nunn; 1167 Pte Phillip Owen; 1168 Pte James O’Connor; 1169 LCpl James Alexander Preston; 1170 Pte Harry Preston; 1171 Pte George Peterson; 1172 Cpl Albert Edward Roberts; 1173 Pte Dennis Robinson; 1174 Pte Thomas Robinson; 1176 Pte John Richardson; 1177 Pte Frederick William Richards; 1178 Pte Charles Aubrey Roberts; 1179 Pte Benjamin James Shepherd; 1180 Pte Leonard Spencer; 1181 Pte William Sweet; 1182 Pte Charles William Nelson Swanson; 1183 Pte Francis Robert Smith; 1184 Pte William Oliver Sleeman; 1185 Pte Abraham Schneider; 1186 Pte Vincent Joseph Scally; 1187 Pte William Henry Stevens; 1188 Pte William Tacey; 1189 Pte John Thompson; 1190 Pte John Archibald Turner; 1191 Pte Frederick Claude Turner; 1192 Pte John Temmie; 1193 Pte Robert Donald Usher; 1194 Pte Douglas Gordon Whitely; 1194 Pte Frederick Charles Waine; 1196 LCpl George Malcolm Willmore; 1198 Pte Philip Workman; 1200 Pte Kenneth Cameron; 1201 Pte George Anderson Howes; 1202 Pte Percy Pickard; 1203 Pte John Smith; 1204 Pte Thomas James; 1205 Pte Alexander James Young; 1207 Pte Harold Montague Lawrence; 1208 Pte Walter Charles Speechly; 1209 Pte John Green; 1210 Pte Edgar William Hickling; 1211 Pte Benjamin Gladding. 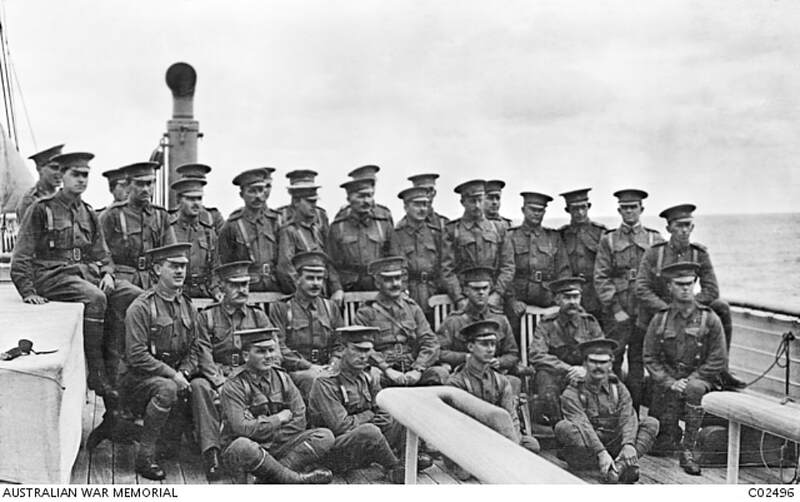 ​Officers of the 9th Battalion aboard HMAT Omrah (A5). Identified back row, left to right: Lieutenant (Lt) (later Captain) Arthur Cowan Hinton; Lt Joseph William Costin, killed in action, aged 23, at Gallipoli on 25-28 April 1915; unidentified; Lt (later Captain) George Thomas. Third row: Lt Henry Cavendish Harvey, Captain (Capt) Alexander Clifford Vernon Melbourne; Lt P J Boase, Capt Isaac Jackson; Capt (later Major, 50th Battalion) Alfred George Salisbury DSC; Capt (later Lieutenant Colonel) John Alexander Milne, killed in action, aged 46, in France on 12 April 1918; Lt H G Ker; Capt (later Major) John Leaper Fisher, Anzac Provost Corps; Lt (later Major) William McKenzie Young; Major (Maj) Sydney Beresford Robertson, killed in action, aged 29, at Gallipoli on 25 April 1915; one unidentified; Lt William John Rigby, killed in action, aged 23, at Gallipoli on 25-28 April 1915. 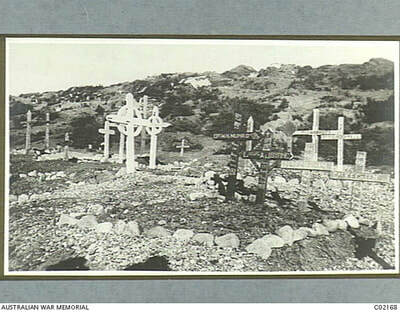 Second row: Lt (later Maj, 45th Battalion) Duncan Chapman, killed in action at Pozieres on 6 August 1916; Maj William Cavendish Harvey VD; Maj J C Robertson; Lt Col Harry William Lee VD; Capt (later Maj) Thomas Victor Brown, Anzac Provost Corps; Capt A G Butler; Capt (later Maj) John Mitchell Dougall. 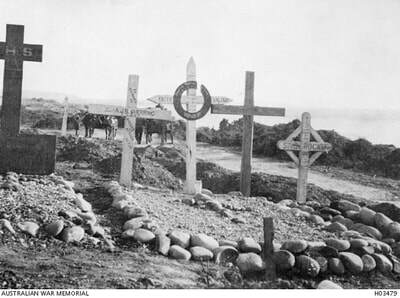 Front row: Lt Frank Granville Haymen, killed in action at Gallipoli on 25 April 1915; Lt (later Capt) Lancelot Alban Jones; Lt (later Maj) Charles Fortescue MC DSO; Lt Rogers. 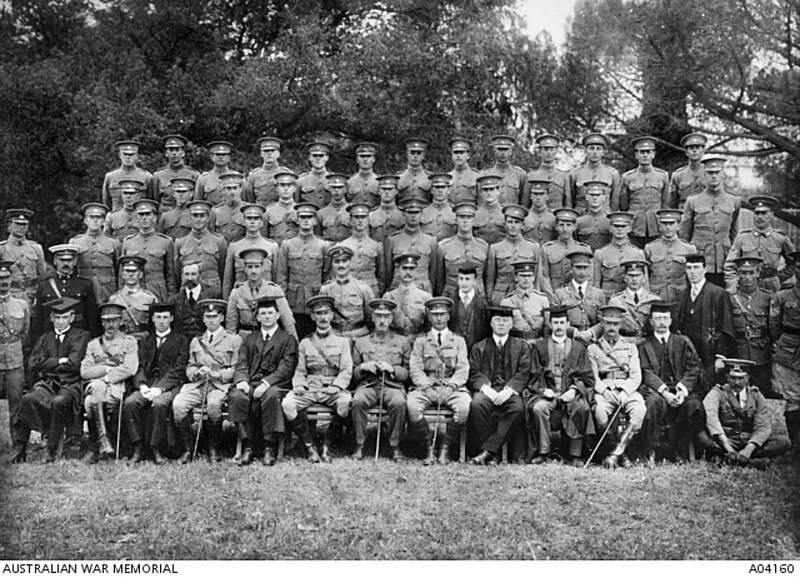 ​Group portrait of members of the Second Class at Royal Military College (RMC), Duntroon, with their Officers and Sergeant Majors. 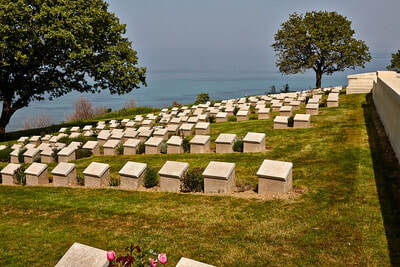 This group of cadets was the first to enlist at RMC in June 1911. 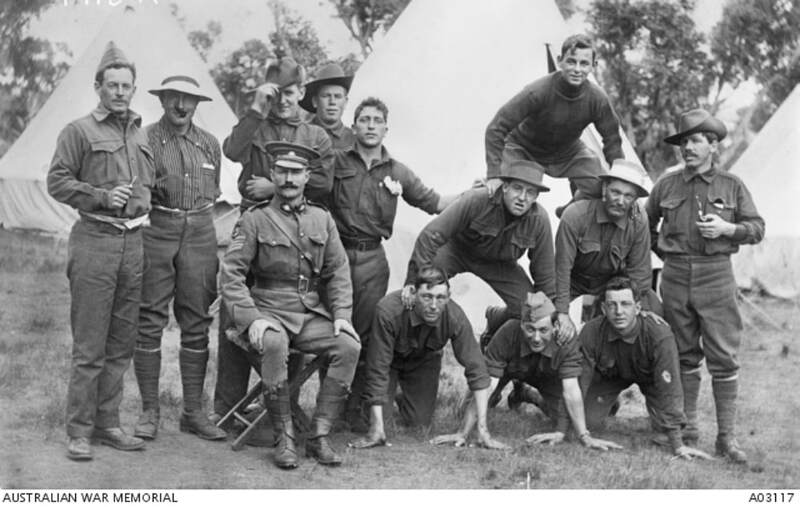 Identified left to right, back row: McLalland; Whitelaw; Prisk; Goodwin; Hodgson; Boase; C Clowes; Vowles; Logan; Hardy; Broadbent; Irwin; Forbes. 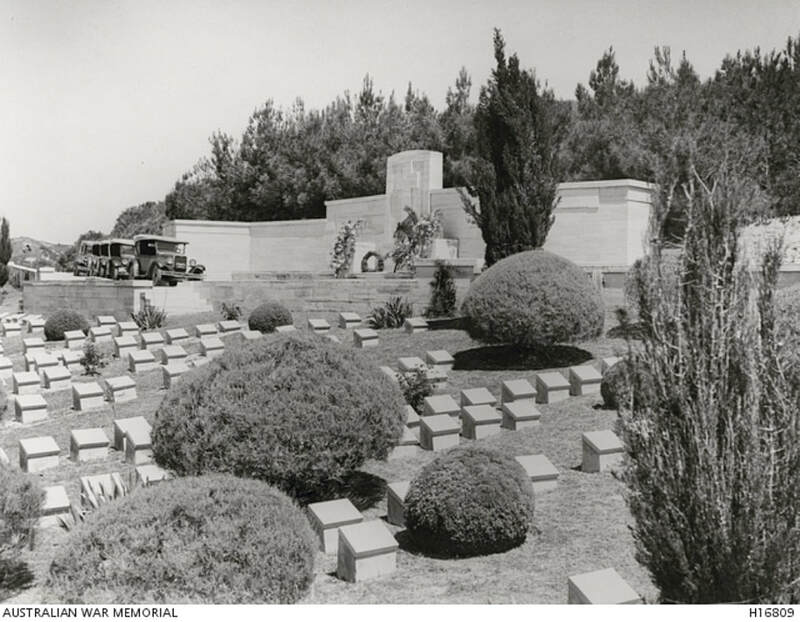 Fourth row: Dawkins; Brown; Urquhart; N Clowes; Rowell; Pain; G Wootten; Carrington; Morgan; Jervis; Selby. 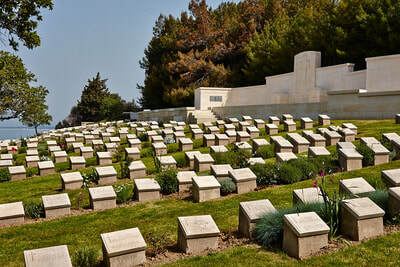 Third row: Staff Sergeant Major A E Yates; Patterson; Clarence William Wolfenden (later Killed in action 11 May 1915); Miles; Biden; Stede; Smith; Capes; Bryan; Jennings; Dunlop; Newmarch; Weir; Staff Sergeant Major A Steele. 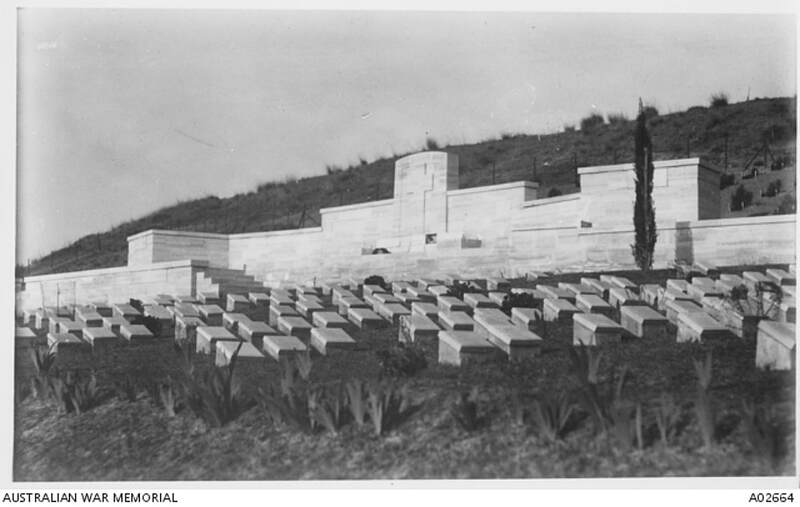 Second row: Staff Sergeant Major (SSgt Maj) J Stamford; SSgt Maj H L Gyton; SSgt Maj M R Binnie; Lieut H D Gale; Lieut H Chappere; Lieut C Hiscocks; Professor (Prof) F N Robinson; Dr P Lalor; Capt F Stanley; Major H D K Macartney; Prof W R Hebblewhite; SSgt Maj Coles; SSgt Maj H V Chumleigh. 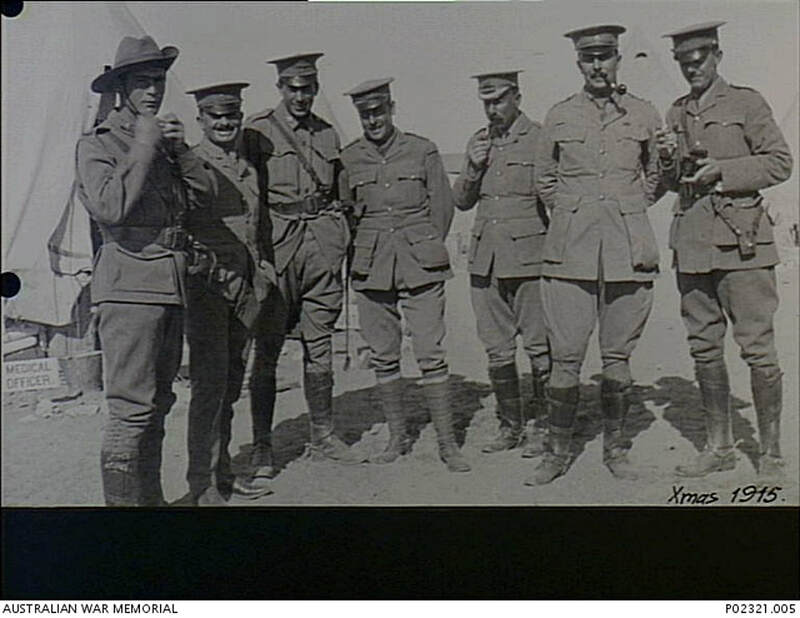 Front row: Doctor C E MacKenzie; Capt R L Waller; Prof J F M Haydon; Capt T W B James; Prof V J Miles; Colonel C W Gwynn; General W T Bridges; Lieutenant Colonel E G Sinclair-MacLagan; Prof R J A Barnard; Prof R Hoskings; Capt H W Smith; Prof R Hoskings; Prof A D Gilchrist; Capt C S Davies.